Officials at the Northeast State at Elizabethton campus opened the new Learning Resource Center space on Thursday that more than doubled computer access sites for students. The new Learning Resource Center is up and running at Elizabethton. Campus director Chris Hitechew and staff welcomed students to the new space with popcorn and refreshments. Classes were already taking advantage of the new resource center on Thursday. Students wasted no time using the LRC. 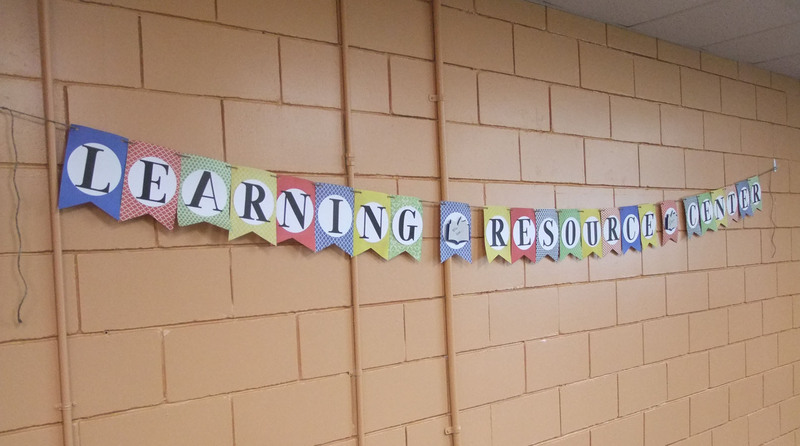 The Learning Resource Center at Elizabethton. The new Learning Resource Center also features soft seating and tables as well as a future space for group study. Hitechew said the former resource center space in Room E116 will be allocated to the TRiO office at Elizabethton to add additional tutoring services for students. 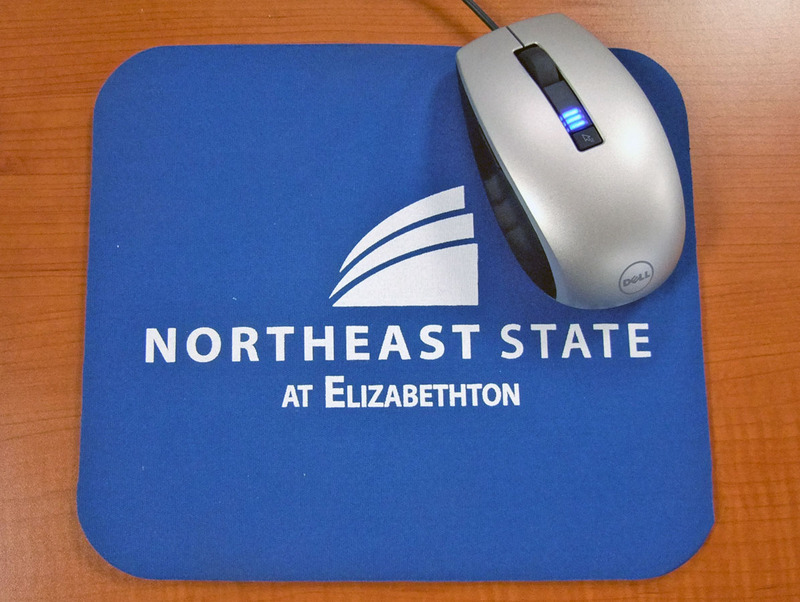 Northeast State at Elizabethton celebrates 20 years of service this spring as a higher education campus in Carter County. The campus hosts conventional classes as well as evening and distance education courses through online, video, and ITV formats. Northeast State at Elizabethton celebrates 20 years of service to Carter County this spring. The campus is staffed with representatives from the College’s offices of Financial Aid, Business, TRiO Student Support Services, and Tutoring. Other departments such as the Center for Students for Disabilities, Counseling and Testing, and Career Services visit the campus frequently to serve students as needed. Eastman, partnering with Milligan College, Northeast State, and East Tennessee State University, invites community members to come hear Dr. Mae Jemison, a former NASA astronaut and National Women’s Hall of Fame Inductee, speak at Eastman’s Toy F. Reid Employee Center on Thursday, Feb. 4, at 7:00 p.m. Seating is limited and will be on a first-come basis. Doors open at 5:30 p.m. Admission is free to the public. Dr. Jemison will share her experiences as a medical doctor, astronaut, entrepreneur, foundation founder, and visionary leader. Eastman is hosting the event as part of a month-long celebration of Black History Month, honoring the traditions and contributions of African-Americans to science, technology, engineering, art and math. From an early age, Dr. Jemison became interested in science. Combined with her desire to make a contribution to society, her scientific interests led her to serve in unique and meaningful ways. Before joining NASA as an astronaut, Jemison served as an Area Peace Corps medical officer in Sierra Leone and Liberia. While at NASA, she became the first woman of color in space. Her entrepreneurial efforts have focused on health care, energy and sustainable development. She established The Dorothy Jemison Foundation for Excellence in honor of her mother, an educator who firmly believed that every person can and should achieve personal excellence and make a unique contribution to society. The Foundation’s efforts center on education with an emphasis on science. Its premier program, The Earth We Share International Science Camp, brings together children ages 12-16 from around the world to solve current global dilemmas. Dr. Jemison also leads 100 Year Starship (100YSS), an initiative seed funded by the Department of Defense’s Advanced Research Project Agency (DARPA) to assure that the capability for human interstellar space travel to another star is possible within the next 100 years. Northeast State at Elizabethton will celebrate two decades as a higher education fixture in Carter County with the campus’s 20-year anniversary this spring. The campus will celebrate the anniversary as students return to class this week for the spring semester. 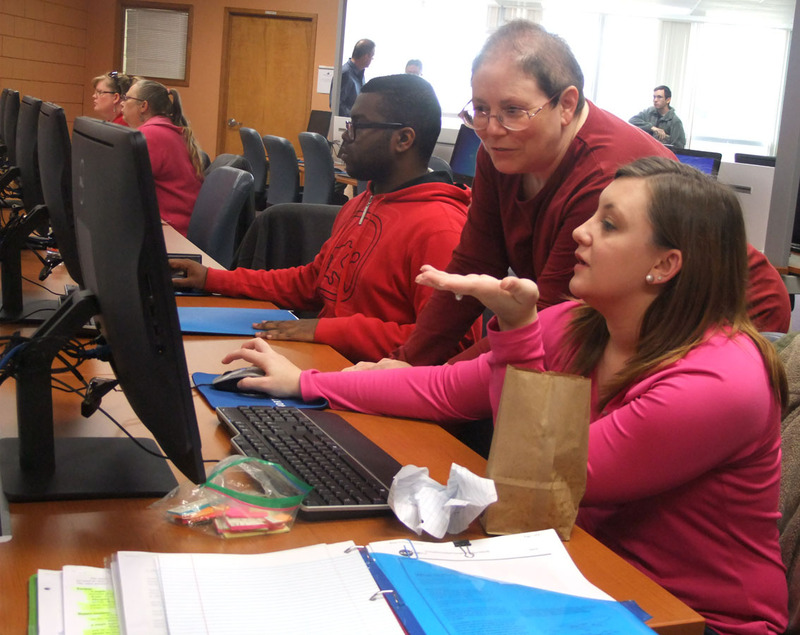 The campus opens its expanded Learning Resource Center on Thursday, Jan. 28. The Northeast State at Elizabethton campus marks 20 years serving Carter County. The Elizabethton campus schedules more than 100 course offerings each semester to accommodate student enrollment consistently exceeding 500 students and rising to over 650 students for past semesters.The campus also provides financial aid, business office, student health, and tutoring services for students. Northeast State at Elizabethton began operating as a college campus in November 1995. The Elizabethton campus was formed after a committee of Carter County government and Northeast State officials met during the early summer of 1995 to discuss establishing a satellite campus. Individuals from the Workforce Development Complex, Alliance for Business and Training, the First Tennessee Private Industry Council, and county mayors of Carter, Johnson, and Unicoi counties collaborated on the project. 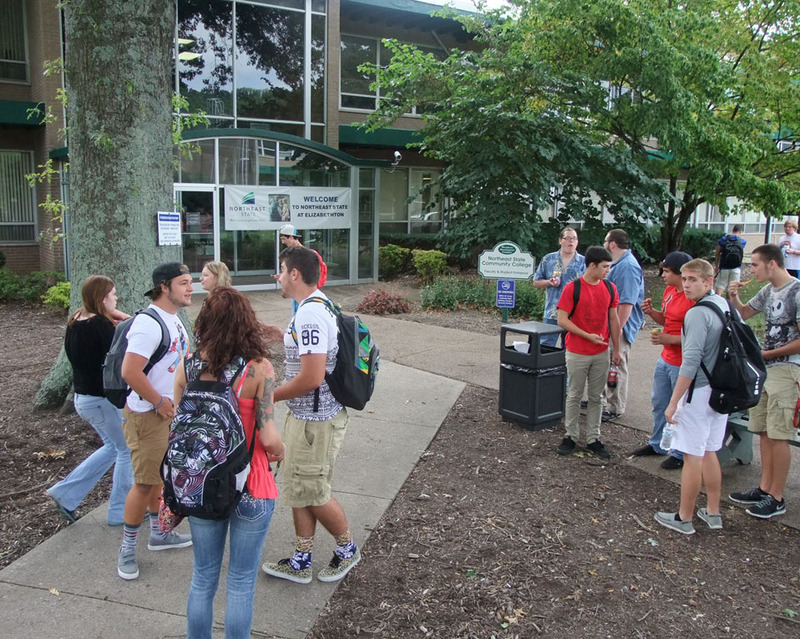 Orientation sessions are held to welcome new student to the campus each semester. Workers began renovating what would become the Regional Workforce Development Complex in August of 1995. The Complex occupied one portion of the property established in the former Great Lakes Research Center across from the Elizabethton Municipal Airport. The College’s then teaching site occupied another portion of the complex with six classrooms, two computer labs, and office space. During the past 20 years, course offerings were added and enrollment grew to over 500 students. 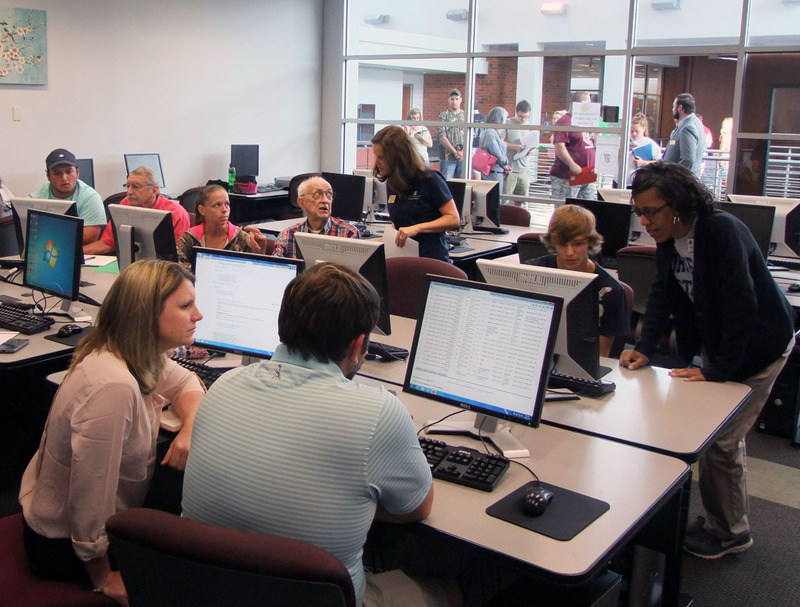 To meet the needs of scores of new students enrolling for classes, Northeast State at Elizabethton completed a multi-phase expansion that more than doubled the College’s physical space in 2010. The expansion added 15,000 square feet of available space to the teaching site. Enrolling hundreds of students each semester NE at Elizabethton continues to be a thriving campus. Phases one and two added two new classrooms, one Interactive Television (ITV) classroom, one new computer lab, additional restrooms, and new office space for administration. The expansion also creates office space for financial aid, business office, student health, and tutoring service services at the existing entrance. The final phase completed in 2015 created laboratory space enabling the Elizabethton site to offer Intro to Microbiology courses for Health-Related Professions majors. The Elizabethton campus received high marks from students over the years. A student satisfaction student released in 2010 reported more than 60 percent of students surveyed ranked individual attention from instructors and accessible computers labs as “highly important” to their experience at Northeast State. The survey also found a whopping 98 percent of enrolled students would recommend attending Northeast State to friends. Today, Northeast State at Elizabethton boasts conventional classes as well as evening and distance education courses through online, video, and ITV formats. Today, leaders and staff are drowning in a sea of meetings, e-mails, interruptions, reports, and short-term immediate demands. They find themselves working late or taking their work home at night, which adversely affects their personal life and ultimately productivity. But now there’s hope: Strategic Thought. Offered by Northeast State’s Workforce Solutions, this course shows participants how to allocate their time and energy so they can think ahead, add value, improve their daily and weekly results, and come up with new innovative ideas. The course will help participants question and validate everything in their work day and develop ways of dealing with overwhelming situations. The course is based on more than 16 years of research with leaders, sales professionals, and support staff from more than 400 companies. The results of this course are immediate and lasting. The course facilitator, Ken Ziegler, is the author of the course textbook and is noted for his interesting and effective delivery. To register, contact Rebecca Moody at 423.354.5520 or rzmoody@northeaststate.edu. 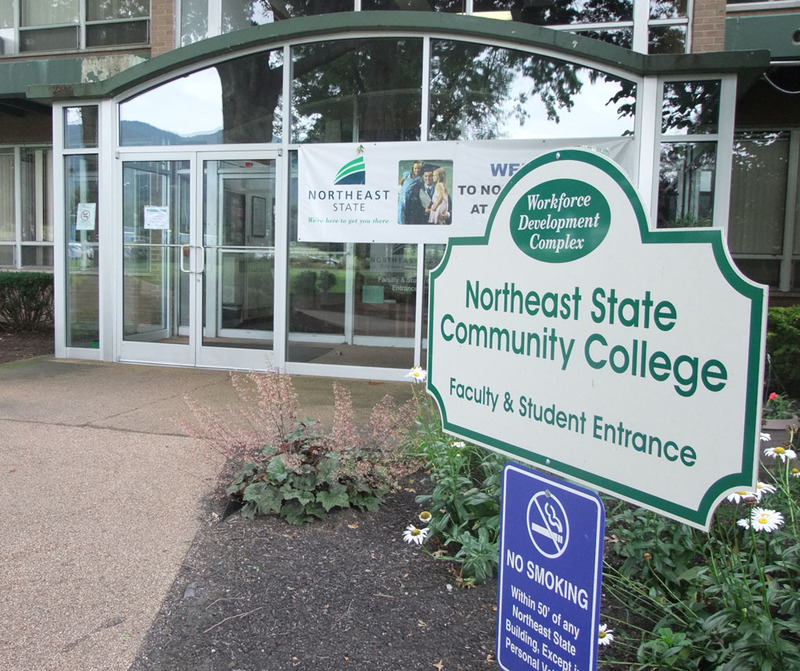 Northeast State announces an open registration day scheduled Wednesday, Jan. 13 from 8:30 a.m. to 5:30 p.m. Attendees can apply for admission and register for classes with help from Northeast State representatives at the College’s Blountville, Bristol, Elizabethton, Johnson City, and Kingsport campuses. The Blountville campus is located at 2425 Highway 75, next to the Tri-Cities Regional Airport. The Bristol campus is located at 620 State St. in downtown Bristol. The Elizabethton campus is located at 386 Highway 91, the Kingsport campus is located at 222 W. Main St., and the Johnson City campus operates at 101 E. Market St. Spring semester classes begin Jan. 19. Northeast staff and faculty will be delighted to help you register for spring classes. Currently enrolled Northeast State students can register online now via NORSTAR at the College’s website www.NortheastState.edu. Students may also register for Regents Online Degree Program (RODP) classes through Northeast State. For more information, contact the Office of Admissions and Records at 1.800.836.7822 or e-mail admissions@NortheastState.edu.